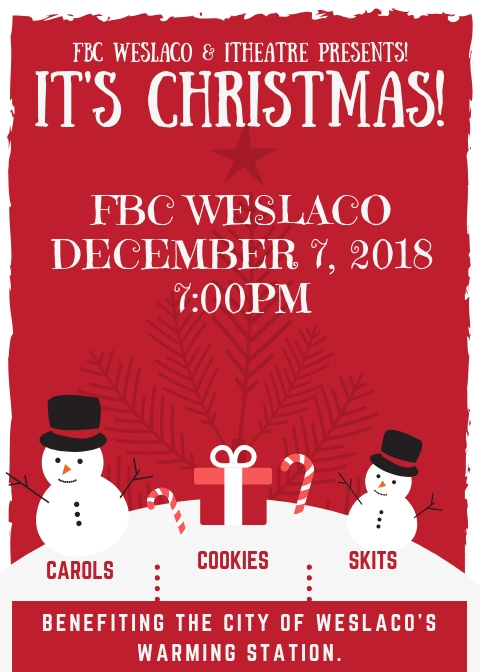 Come join us for a night of fellowship, Bible study, and worship for all ages! It's time for the 2018 Awana Grand Prix! All events will take place in the Gym. 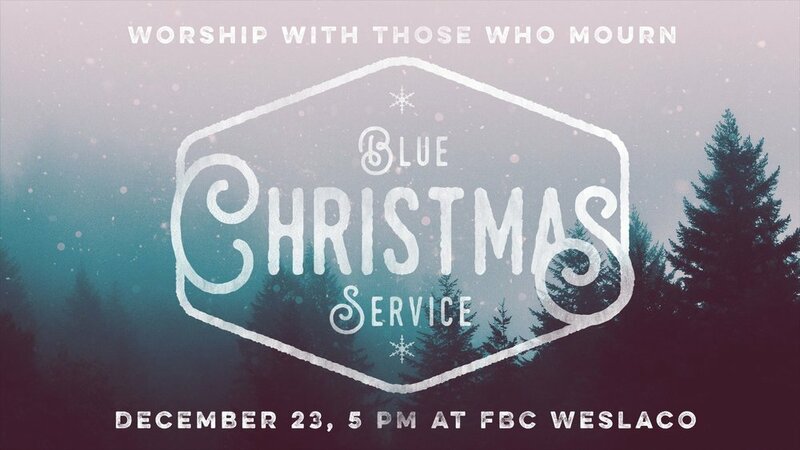 Come join us for food, worship, fellowship and communion on the third Wednesday of each month. 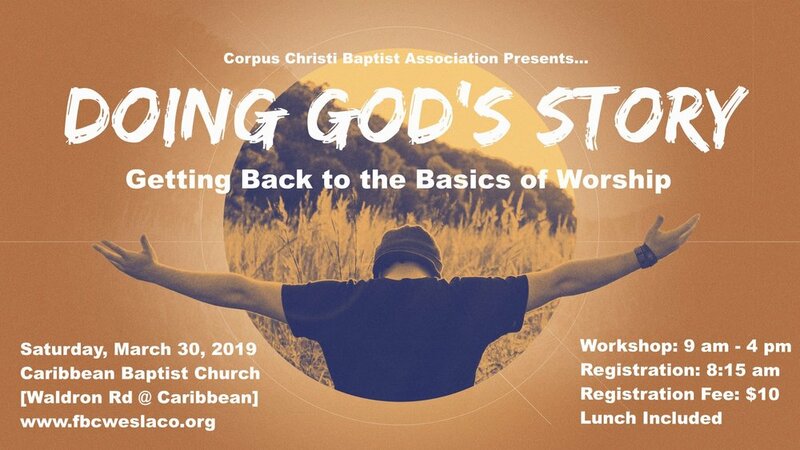 Come to Corpus for the day to delve into worship with Pastor Parker and Pastor Ray! 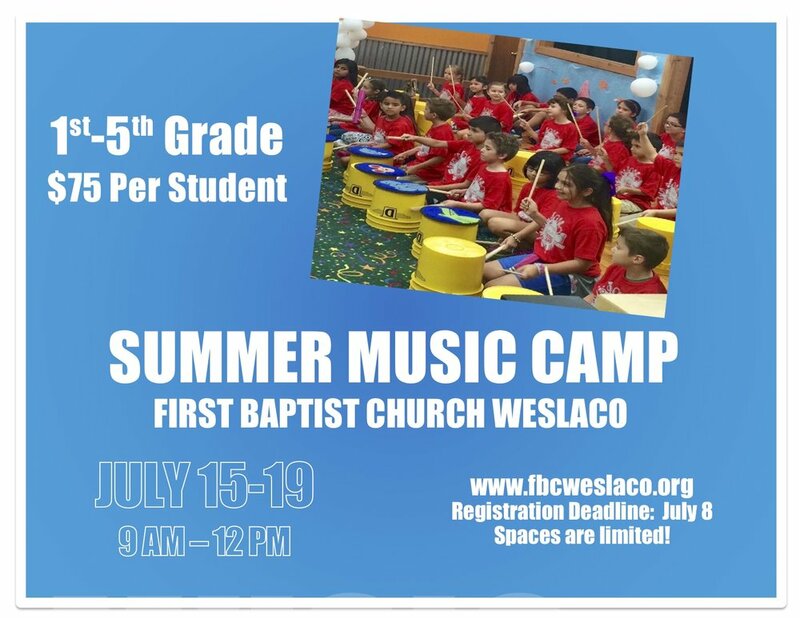 Register by clicking on the picture below. 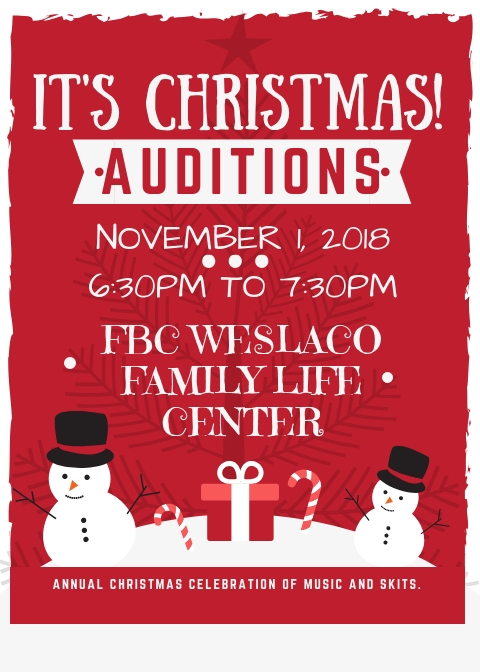 Join us the first Monday of every month in the Family Life Center as we distribute bags of food to those in need in the Weslaco Community. 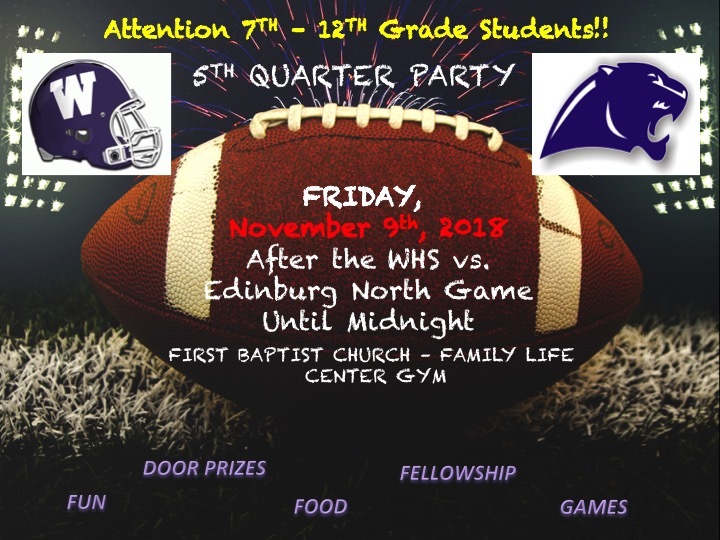 Come join us after the WHS vs. Edinburg North football game in our Family Life Center Gym for FREE food, fun, fellowship and door prizes!!! !